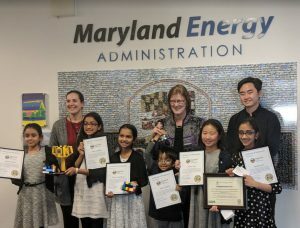 Staff of the Maryland Energy Administration (MEA) had the great honor to meet and hear a presentation on water and energy conservation from Howard County’s award winning, all-girls fourth grade robotics team, Hydro Heroes, last week. 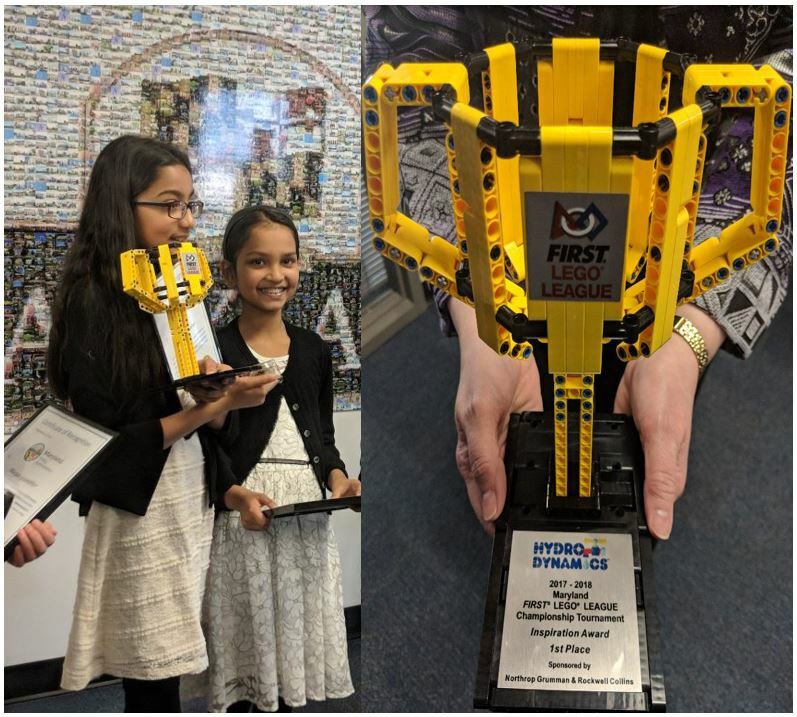 Hydro Heroes participates in the FIRST Lego League (FLL), which presents a challenge each year for teams to solve. The theme for this year is HydroDynamics, with the challenge to improve the way people find, transport, use, or dispose of water. Last August, the Hydro Heroes began identified issues with the way humans use water. Hydro Heroes discovered that only 1% of fresh drinking water on Earth is accessible and that shower use is one of the highest source of water usage in an average home. Over the past 17 years, little has been done to help minimize our use of water during showers. 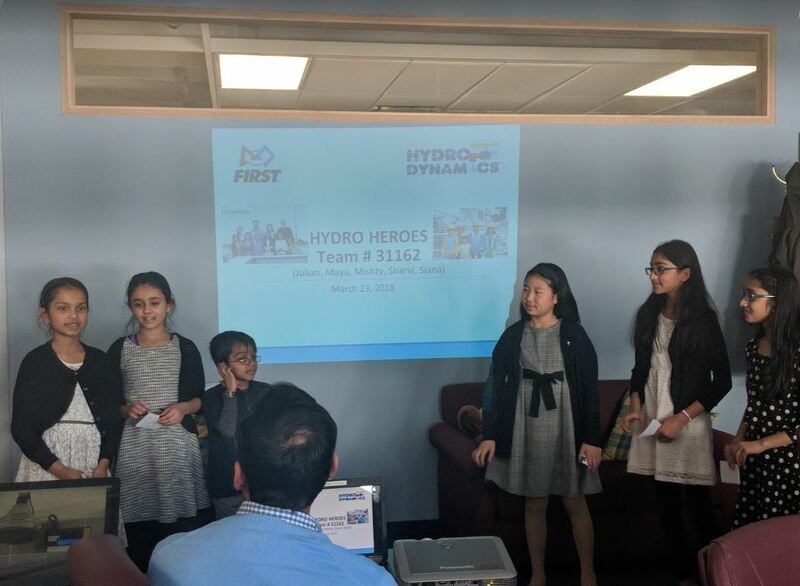 Hydro Heroes was motivated to find a way to conserve and limit water usage at home. 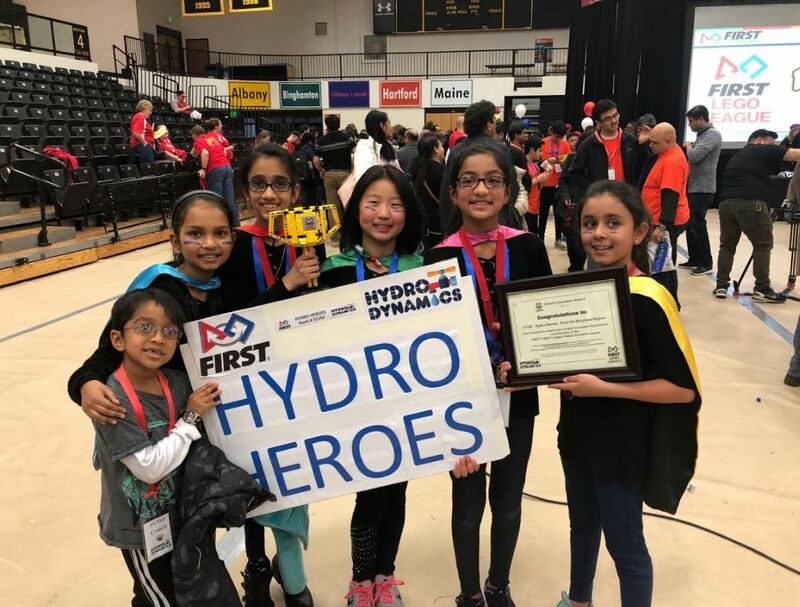 Hydro Heroes invented an innovative shower head attachment, the ShowerHero, to help people become more aware of their water usage and encourage them to conserve water. The ShowerHero allows you to set a shower time goal, and displays the duration of and how many gallons of water you use for each shower. Hydro Heroes hopes that once people understand how much water they are using every day just in the shower, residents will commit to shortening their showers. 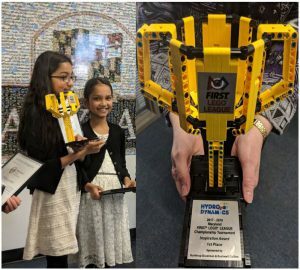 A patent for the ShowHero has been filed as well. MEA is a huge supporter of water and energy conservation because this practice saves energy and lowers utility bills. Hydro Heroes won the Global Innovation Nomination for the State of Maryland, competing against 400 FLL teams in the state this past February. 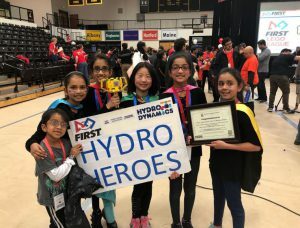 “We are very excited to continue in our journey to be a finalist for the award in San Jose, CA,” said, Amit Kabaria, Hydro Heroes Coach. 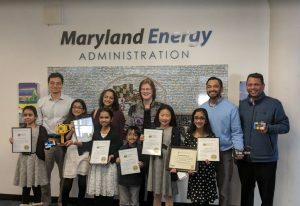 MEA is proud beyond measure to see Hydro Heroes expand energy efficiency and water conservation which supports MEA’s mission to promote affordable, reliable, and cleaner energy for the benefit of all Marylanders. We wish them all the best as they represent Maryland in the FLL National Championships this May.